Besides discussing trade topics and sharing best practices with its over 90 festivals and associated members, Yourope has founded dedicated groups dealing with health & safety (YES Group), green operations (GO Group) and marketing & communication (EMAC Group). The overall aim of the association is to collaborate, share experiences and to pinpoint areas that would benefit from a joint approach. 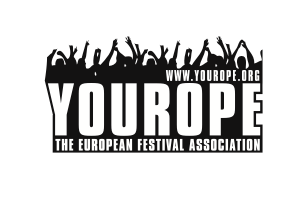 Having gained respect within the industry and at government level, Yourope has the power to lobby for all legal and industry issues relating to the European festival industry on behalf of its members, and in conjunction with other associations in the live music business. Yourope also focuses on other key issues for festivals, such as exchange of information regarding marketing and sponsorship, contracts, production riders, radio/TV/internet rights and more. The association launched its own Yourope standard terms for artist contracts and a standard agreement for use.